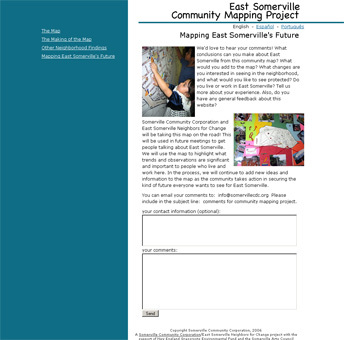 Creative Narrations worked with the Somerville Community Corporation and the Somerville Arts Council to create a 5′ by 6′ hand-drawn map of the East Somerville community. 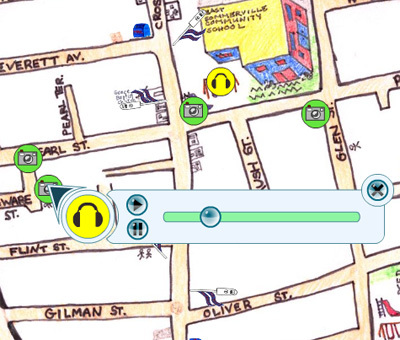 This map includes landmarks, survey data, photographs, and audio recordings. 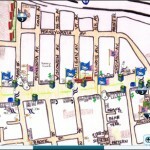 Optay Studios was hired to create an interactive, online version of this map. 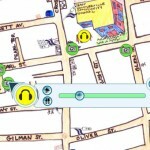 The online version of the map was built with Flash. 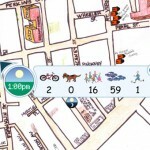 It features an interactive legend that allows users to show and hide items on the map. It also contains all of the information in the original hand-made map including audio clips, photographs, survey data, and landmarks. 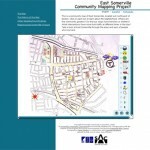 The website containing the map was also designed and built by Optay Studios. 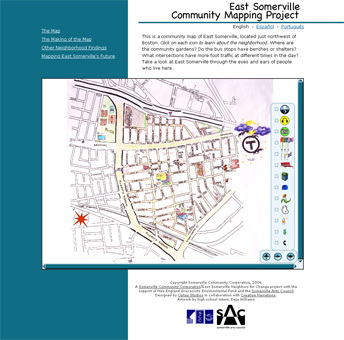 The project is still accessible in the SCC’s archives, but the map content has been removed. 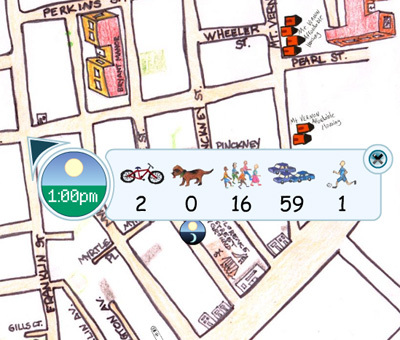 Community members gathered statistics at various places in the neighborhood at different times of day. 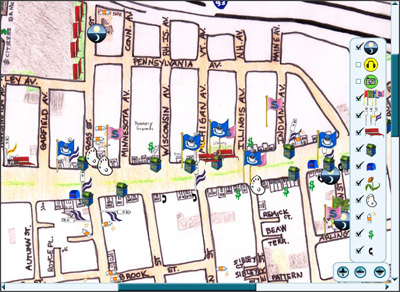 The map marks landmarks large and small from public trash cans to schools. Audio interviews and photographs are embedded. 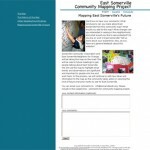 The website also contains a basic contact form.